McCain in Memphis: Straight Talk or Double Talk? 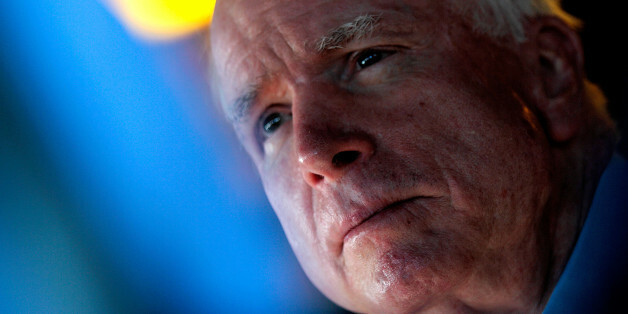 Senator McCain admits that he was wrong in the past. He should, of course, be ashamed of his record, which includes far more than just a vote against a national holiday for Dr. King. Washington, September 23, 2016. Power is an old game in this city, but a style in play last week made all others seem crude. Aung San Suu Kyi, the effective head of state of Burma, was in town, and in her presence, the American government performed at peak form. We cannot continue to pretend as if these horrid acts are occurring on their own, nor can we shy away from accepting responsibility for the innocent blood that has been shed as a direct result of our actions. It is the declining power, Russia, that is both threatened by the global order and threatening to the global order, that has nothing to lose in trying to reshuffle the deck. Russia is the only major economy that, beyond a collapsing energy market, has no skin in the globalized game. Our founding fathers may have been a bunch of white guys, but the greatness of America was built on diversity. By definition, diversity requires otherness - otherness to be cultivated, validated and celebrated. Trump seems to think he's reenacting the "Swift Boat Veterans for Truth" campaign against John Kerry. But in reality, it's more like the Romney 2012 nomination speech that ignored the military, as well as the former CEO's ineffective battle against McCain for the nomination. Moving into the 2016 race, any Presidential candidate that wants a fighting chance needs to prioritize an immigration reform game plan -- one that is fair, just, family-oriented and economically sound. The figures McCain cites fail to account for huge amounts of waste and unnecessary overhead at the Pentagon. As I have noted elsewhere, the Pentagon doesn't need more spending; it needs more spending discipline. McCain would do the taxpayers a great service if he focused more energy on improving how the Pentagon spends its already massive budget. President Obama and Sen. John McCain (D-Ariz.) are at odds over whether the cyber attack on Sony Pictures, which the FBI has blamed on North Korea, is an "act of war." A montage of Senator John McCain calling for military action over the years. Sarah Palin appeared on the Sean Hannity Show on Sept. 11, 2014 and said "I owe America a global apology" when referring to Obama's presidency. Secretary of State John Kerry said on September 8 that the formation of a new Iraqi government was "a major milestone" for the country. Obama quickly recognized the GOP trap and made it clear that there will be no massive redeployment of American troops, and will rely on diplomacy to press the al-Maliki regime for political reforms. This didn't silence Obama's GOP critics.